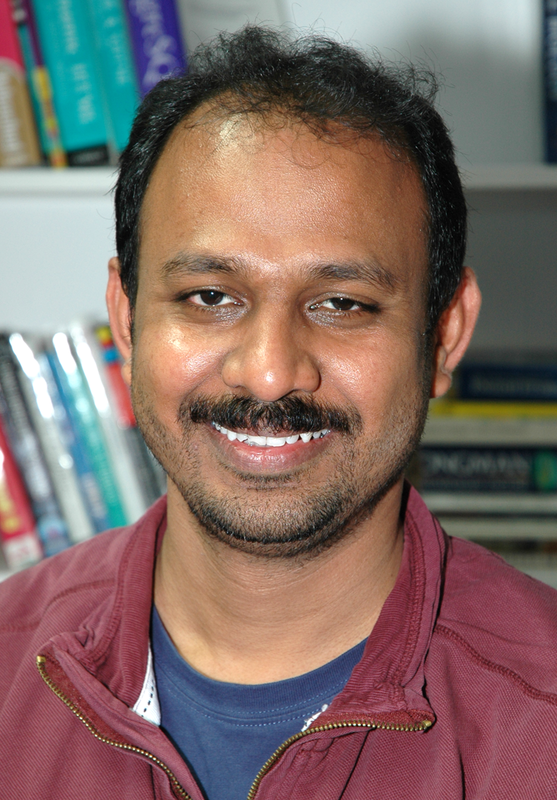 Mani is interested in the development of methods and algorithms to integrate large scale 'omics' datasets (genomics, transcriptomics, proteomics and metabolomics) to analyse them at different dimensions, and to identify biologically meaningful insights from the emergent properties. He is also interested in integration of clinical data with omics data using eTRIKS/tranSMART clinical data platform and Apache Hadoop-related analytical tools. Mani is a named researcher in a UK multi-centre study (ORBIT) to identify prognostic biomarkers using RNA-Seq and LC-MS-based metabolomics to tailor biological therapies in Rheumatoid Arthritis. He is also involved in another cohort study that integrates DNA-seq, RNA-Seq and miRNA-Seq to identify prognostic biomarkers to direct biologic therapy in patients with Rheumatoid Arthritis. Previously, he contributed to colorectal cancer diagnostic biomarker discovery, renal cell carcinoma (RCC) diagnostic biomarker discovery, chronic obstructive pulmonary disease (COPD) target discovery and canine lymphoma translational projects. Speakman, C.M., Domke, C.E.T., Wongpaiboonwattana, W., et al. (2014). Elevated O-GlcNAc levels activate epigenetically repressed genes and delay mouse ES cell differentiation without affecting naïve to primed cell transition. Stem Cells. 32(10):2605-15. Atrih, A., Mudaliar, M.A.V., Zakikhani, P., et al. (2014). Quantitative proteomics in resected renal cancer tissue for biomarker discovery and profiling. Br J Cancer. 110, 1622-1633. Mudaliar, M.A.V., Haggart, D.R., Miele, G., et al. (2013). Comparative gene expression profiling identifies common molecular signatures of NF-κB activation in canine and human diffuse large B cell lymphoma (DLBCL). PLoS ONE 8(9): e72591. Mackenzie, K.F., Clark, K., Naqvi, S., et. al. (2013). PGE(2) induces macrophage IL-10 production and a regulatory-like phenotype via a protein kinase A-SIK-CRTC3 pathway. J Immunol, 190, 565-77. Lee, C.M., Mudaliar, M.A.V., Haggart, D.R., et. al. (2012). Simultaneous non-negative matrix factorization for multiple large scale gene expression datasets in toxicology. PLoS ONE 7(12): e48238. For more information and publications please visit my ReseachGate profile or Google Scholar page. Assessing the impact of foot-and-mouth vaccination programs in India. BBSRC. 2013 – 2017.
International collaboration to explore the milk microbiome in dairy cattle. Wellcome Trust ISSF Catalyst Grant. 2013 – 2014. Urine microbiome of livestock and wildlife as a source of zoonotic bacteria in Tanzania. Wellcome Trust ISSF Catalyst Grant. 2013 – 2014.